SKU: AB-412. Category: A-BUS Audio Distribution, Audio Video Distribution. Tags: A-Bus, AB-412, ab412, distribution module, Two Zone A-BUS. Channel Vision’s 2 room audio distribution product with A-Bus technology, AB-412 functions as the heart of your A-BUS system. The Abus hub features one local A/V input and one A-Bus input for a two zone A-BUS distribution module that delivers power, IR control and audio to 2 amplified keypads (model AB-134 or AB-135W) in the room. The 2 emitter outputs on the AB-412 allow IR signals detected by the audio amplifier to control source devices such as audio receivers, playstations, CD players, Android and cable boxes. 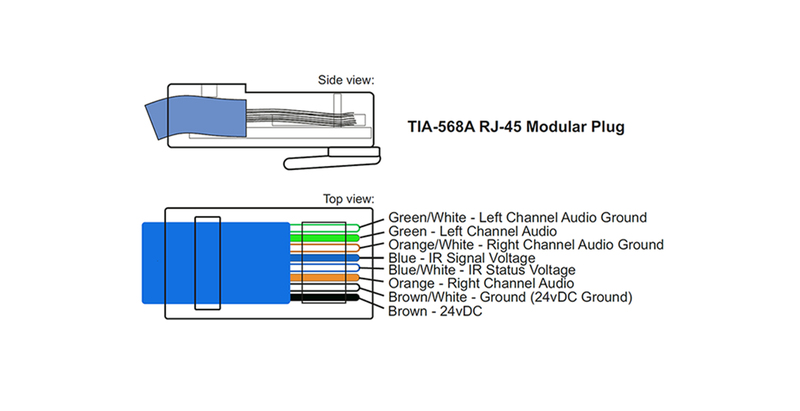 In addition, we provide a cat5 input for connecting our bluetooth music receiver (AB-303), or Android phone docking station (AB-318) directly to the AB-412 audio distribution hub providing 2 sources of music distribution within 2 different rooms.